As a first time patient, Dr. Steiner was very attentive and informative. I also felt he was comprehensive in his approachto resolve my health issue. As a first time patient, Dr. Steiner was very attentive and informative. I also felt he was comprehensive in his approach to resolve my health issue. Wonderful experience with the care and treatment provided to me by Dr. David E. Steiner. I felt he definitely gave mehis complete attention, accurate diagnosis, answered all my questions and concerns and I most certainly feel I am in good hands with Dr. Steiner. He has a warm and comfortable presence. The entire office staff is accommodating and surprisingly the wait time was almost non existent. I highly recommend Dr. David E. Steiner. Wonderful experience with the care and treatment provided to me by Dr. David E. Steiner. I felt he definitely gave me his complete attention, accurate diagnosis, answered all my questionsand concerns and I most certainly feel I am in good hands with Dr. Steiner. He has a warm and comfortable presence. The entire office staff is accommodating and surprisingly the wait time was almost non existent. I highly recommend Dr. David E. Steiner. Dr David Steiner is a founding member and the present CEO of Pinnacle Healthcare System. 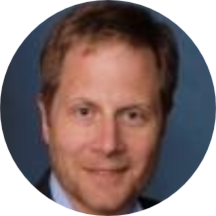 Dr Steiner received his medical degree from The University of Pennsylvania in Philadelphia and completed his internship and residency at Beth Israel Medical Center in New York. Dr Steiner then went on to complete his cardiology fellowship at The University of Connecticut Health Center. Dr Steiner is board certified in Internal Medicine and Cardiovascular Disease and practices all aspects of non invasive cardiology and has special interest in nuclear cardiology and echocardiology. very caring in regard to my health! everyone is very professional! The Dr. And his staff are all professional and Courteous. They are also very timely about getting me in and out of the office. Both Jessica's in the office are Superstars! The appointment and the visit. The doctor and the staff was efficient and polite. I love Dr. Steiner! He is easy to talk to and takes the time to explain everything, never rushing my visit. The full staff is very nice. It is always a short time in the waiting room to see him for my scheduled appointment. Excellent clinician and diagnostician. Compassionate bedside manner. All around GREAT doctor! Had stress test and while I was taken right away, the whole process took longer ger than it should have. Still, everyone was very professional and friendly. Amazing service, staff is super nice and the wait was short. Great office!!! The wait time was excellent. Dr Steiner associate Jeannie is a very good Doctor. Sorry if I got her name wrong. The entire staff was wonderful, made me feel very comfortable. I highly recommend this doctor. Michelle G.
Excellent treatment. Nice to have a Dr who takes his time with you. Dr Steiner is a great doctor. He has takes the time to really understand your issues and make sensible recommendations. Always willing to help and answer questions. Thank you Dr. Steiner for being a great partner in my personal health! Great doctor! Very thorough and easy to talk to.. Great and caring staff. Excellent as always. Efficient from the moment you walk in until you leave. Best doctor ever! Best ran practice. Staff is professional, capable and always responsive in a very timely manner. Highly recommend Doctor Steiner. As always, our visit with Dr Steiner was excellent. He is so good about explaining every test and the results, along with answering any questions we may have. We have enjoyed going to Dr Steiner for many years now and infact drive all the way from NC for our yearly physicals. Dr Steiner is a very good Doctor. Shows concern for my well being. He's more than a Doctor to me, he's my friend !!! He was professional and friendly. He took his time explaining everything. Very Professional. Knowledgeable, Caring and he listens with understanding.. Relaxed atmosphere.. This is a wonderful doctor with quite a courteous staff. Dr. Steiner is thorough in every aspect. He took time with me and made me feel that my needs were important. A lot of the services are performed right there inthe office which I find extremely convenient. I am so pleased I decided on him for my new primary care doctor. So attentive and professional. I was so glad I finally found a great internist with a great staff. Great doctor! The best I've ever had. Doctor explain everything this is my first time and it was amazing very knowledgeable and the staff was incredible. All staff was extremely kind and courteous. This doctor is so personable and extremely caring. His staff is fantastic and my whole visit was extremely seamless. Very thorough and personable . he was very professional and courteous. He really paid attention to all of my needs. I would definitely recommend him to my friends and family! I walked out feeling very positive.